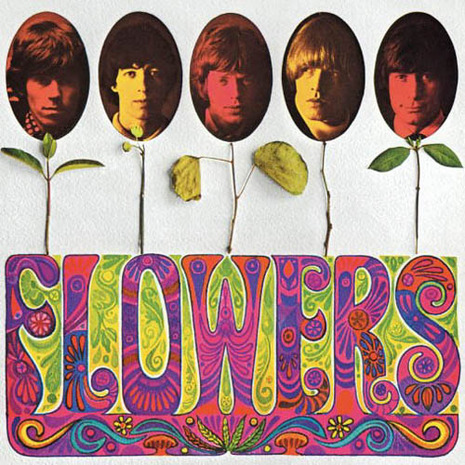 Flowers is an American compilation album by The Rolling Stones, released in 1967. The songs either appeared as singles, had been omitted from the American versions of Aftermath and Between the Buttons, were collected from studio sessions dating back to 1965, or are reissues of songs recently released on other albums. Three tracks had never been released. "My Girl" from the Out of Our Heads sessions, and "Ride On, Baby" and "Sittin' On A Fence" from the Aftermath sessions. Flowers reached #3 in the US during the late summer of 1967 and went gold. In August 2002 it was remastered and reissued on CD and SACD digipak by ABKCO Records. Dismissed as a rip-off of sorts by some critics as it took the patchwork bastardization of British releases for the American audience to extremes, gathering stray tracks from the U.K. versions of Aftermath and Between the Buttons, 1966-1967 singles (some of which had already been used on the U.S. editions of Aftermath and Between the Buttons), and a few outtakes. Judged solely by the music, though, it's rather great.